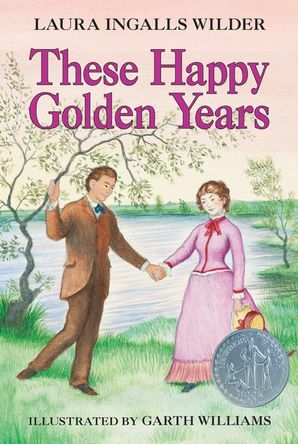 The eighth book in Laura Ingalls Wilder’s treasured Little House series. This edition features the classic black-and-white artwork from Garth Williams. Laura is teaching school, and it's terrifying! Most of the students are taller than she is, and she must sleep away from home for the first time. Laura is miserable, but the money is needed to keep Mary in a college for the blind. And every Friday—no matter what the weather—Almanzo Wilder arrives to take Laura home to her family for the weekend. Laura and Almanzo are courting, and even though she's not yet sixteen, she knows that this is a time for new beginnings.